CARFAX One-Owner. Clean CARFAX. Blue 2013 Honda Civic EX !!!! FWD Compact 5-Speed Automatic 1.8L I4 SOHC 16V i-VTEC 2013 Honda Civic EX in Blue, Bluetooth for Phone and Audio Streaming, CLEAN CARFAX, ONE OWNER, MOONROOF SUNROOF, Civic EX !!! !, 1.8L I4 SOHC 16V i-VTEC, Compact 5-Speed Automatic, FWD, Air Conditioning, Alloy wheels, Front Bucket Seats, Power moonroof, Remote keyless entry. 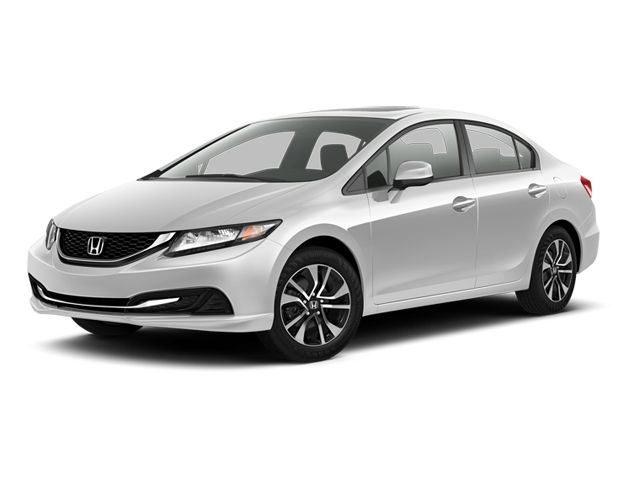 Hello, I would like more information about the 2013 Honda Civic Sdn, stock# P4969A. Hello, I would like to see more pictures of the 2013 Honda Civic Sdn, stock# P4969A.